Conveniently located near shopping, grocery stores, restaurants and bus lines in downtown Portland. Gretchen Kafoury Commons is a nine-story apartment community with 129 studio, one and two-bedroom homes. 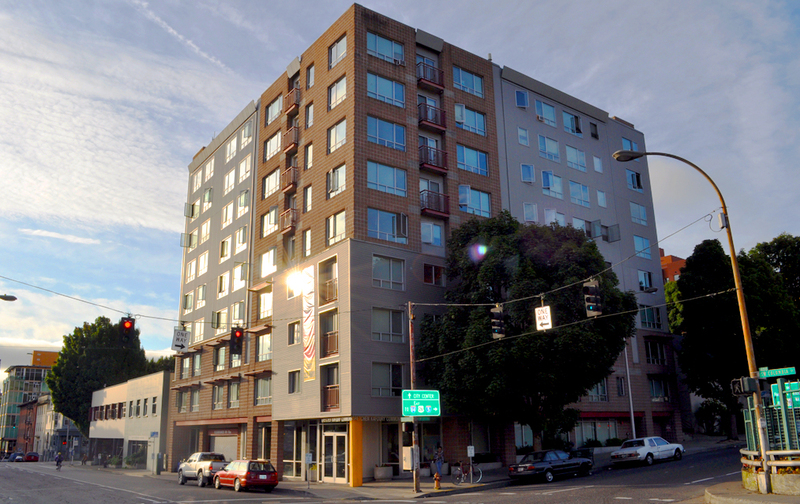 Built in 2000, this conveniently located downtown Portland community serves residents with incomes between 40% and 80% of the area median income. With views of the West Hills, Mt. Hood, and downtown Portland, Gretchen Kafoury Commons offers convenient living in the downtown area. Shopping, grocery, restaurants, bus lines, MAX light rail and Portland Streetcar are just outside this community. It offers laundry facilities, a fitness center, indoor bicycle storage, controlled building access, a garden terrace, parking garage, and easy access to freeways. Applicants must have annual income that does not exceed 80 percent of the area median income for their family size. Managed by Cascade Management Inc.